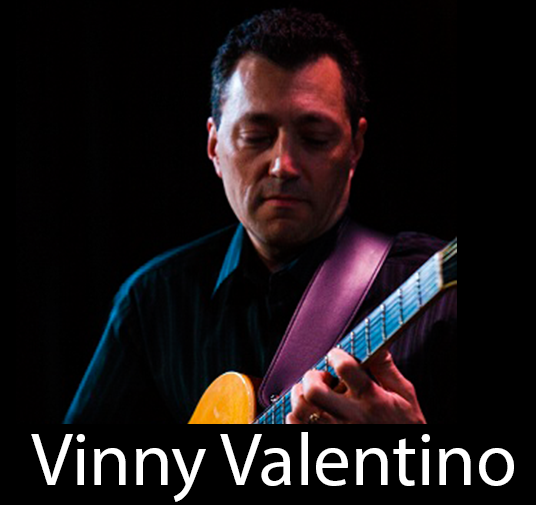 Guitarist, Composer, arranger, producer and educator, Vinny Valentino continues to redefine musical genres to the acclaim of audiences worldwide. His international debut recording, The Distance Between Two Lines, shot straight up the charts to #2 and stayed on the national charts for more than 14 weeks, an unprecedented achievement for a first international release. Jazz Unlimited called it one of the top five albums of 1993. Vinny is currently the guitarist for drummer Steve Smith’s Vital Information jazz fusion super group. 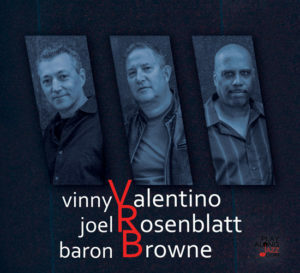 Much of Vinny’s work with Steve Smith is available at Play Along Jazz, including two CD’s from Vital Information (Vitalization and Viewpoint) and another CD, Groove Blue, where Vinny and Steve are joined by Hammond B3 artist, Tony Monaco, to recreate the sounds of the classic organ trio. 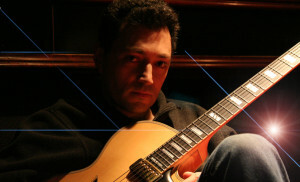 Vinny is the creator of Play Along Jazz and the guitarist for many of the tracks recorded for PAJ. Here you will find a library of all the tracks and packages Vinny has recorded, composed, produced and/or arranged for Play Along Jazz.